Mila Mihailovic is the third generation of the Mihailovic family to run the family law firm, established in 1937. 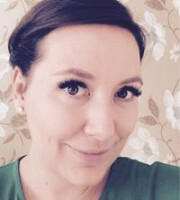 She obtained a BA and an LLM from the University of Belgrade Law School, where she was in the top 1% of her class, and went on to obtain an MA with merit in management from Regent’s University in London. She was admitted to the Bar Association of Belgrade in 2006. Based in Belgrade, Ms Mihailovic coordinates the firm’s IP activities in its branch offices in Bosnia, Croatia, Slovenia, Macedonia, Albania, Kosovo and Montenegro, and advises on strategic management of IP portfolios and enforcement in all eight jurisdictions. 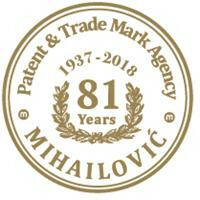 Even at over 80 years old, Patent & Trade Mark Agency Mihailovic is still passionately dedicated to providing prompt and individual attention to firm’s many international clients and their needs – from new patent applications or validations, trademark and design filings, renewals and plant variety rights to litigation (which was firm’s primary activity to begin with) and various enforcement-related matters. Patent & Trade Mark Agency Mihailovic has built its reputation on family tradition, offering legal competence and efficiency that spans three generations and boasting over 80 years of continued accomplishments. Most importantly, the firm’s standing is based on high success rates for, and satisfaction among, its clients, many of whom have placed their trust in this family law firm for decades.